Inspire Me: Raw is a collection of spirited poems from actor, writer and poet Sonia Iris Lozada that is beautiful and inspiring. Using her knowledge of events that shaped her life she shows others how having courage and faith can motivate them to move on with their lives, avoiding the negativity that often keeps us bound to the same place. Good afternoon, Sonia! Will you tell me a bit about Inspire Me: Raw and what inspired you to write it? In INSPIRE ME: RAW, I write about change and how it affects life and yet it allows for new opportunities to arise. I enjoy minor changes but being thrust into the unexplored psyche after surgery; the history I knew of myself—dissipated. Losing my autonomy for two months is challenging but the spiritual awakening ensuing it, altered those perceptions. The benefit from this event? I once again encountered my passion for poetry which I’ve written since childhood. Wow. That’s powerful. When did writing first become your passion? Since I was a child, I wrote poetry and would just put it away for no one else to read. I felt it was too personal, and it was intimidating to feel so vulnerable. Feeling shame by some experiences and even contemplated using a pen name but decided to be out there RAW for others to see and maybe help them not feel alone. I can definitely understand that. I’m glad you’re sharing your work now, though. In your book, what would you say is your central message? The message of this collection and my soon-to-be-released collection INSPIRE ME: RAW 2 is about change and acceptance, its setbacks and humor. The experiences that cause one to surrender to the past and move on with our lives. Sounds empowering to me! As a poetess, what influences you the most creatively? 1. Nature, I just love nature because of its calmness and presence. 2. People. I’m fascinated by the world, beliefs, culture and human behavior. 3. Children & Animals. Their innocence and how they should always be protected. [T]his collection […] is about change and acceptance, its setbacks and humor. The experiences that cause one to surrender to the past and move on with our lives. That’s wonderful! Now I’m interested to know about your writing process. I usually get inspired by dreams, science, and events I read about. I see the entire story of the poem. I write without editing, just getting the emotion on paper then I put it away for a couple of days. When I return to the poem, I’ll do any research and editing. I re-edit several times. For instance, I had a dream about a journey through different lives and I had to research one stanza of the poem “I Follow” (a long poem to be released as its own book) which showed a life in 300 BC. The first stanza showed the continent and the clothing of the period. I had to research when it occurred in history. That sounds very thorough. So, I’m curious… I noticed you’ve resided in both Chicago and Los Angeles. How did living in Chicago and The City of Angels influence you? As a Puerto Rican actor, writer and poet living a bicultural life in an urban city like Chicago then Los Angeles I’ve learned and experienced the richness and multicultural influences of these cities. It fascinates me to see people from all over the world and experience their food, dance, beliefs, and customs. Diversity really is beautiful. I’m glad those areas enriched you as both a person and creative mind. Do you have any final thoughts? I love hearing from readers and respond when I’m reached on my Facebook page and YouTube channel (Subscribe and comment!). From alternative punk recording to mainstream television and movies, Sonia Lozada has always been at the heart of contemporary creative work. The founder and publisher of LOZT Magazine in the 80’s, and a performer in bands, she became an actor on both stage and film. Her other passions include design, decoration, and spiritual development. She’s been writing poetry since she learned how to write, and INSPIRE ME: RAW is her first published collection; she hopes these poems can help others experience that they are not alone. Good morning, Lamecca! I’m grateful to be speaking with you on this wonderful day. Thanks for being here. What inspired the creation of your book? My inspiration for this book was the fact that I self-published my first poetry while homeless. I wanted to keep the momentum going. That’s amazing. I can’t imagine the hardship you must have faced, so the fact that you pushed forward regardless is proof of your personal power and the power of poetry to guide you out of difficult times. When did your love of writing come about? I began writing as a little girl. It was my best form of expression. Poetry is definitely a great tool to authentically express oneself. What is the central message you’re attempting to put into the world through this collection of poems? My message that I’m striving to convey is that I have been through more than most can fathom, so if I can do it, anyone can do it. How empowering! I admire your can-do attitude. So, what gets your creative juices flowing when sitting down to write? I literally base my poetry off of emotion. I write from my personal experience or the emphatic view from afar. I have been through more than most can fathom, so if I can do it, anyone can do it. ^Click on cover image to purchase! Hello Heath! I’m thrilled to be chatting with you about your debut book, Taoist Poetry: The Path That Weaves Through Clouds. What instigated its creation? The art is done by my partner Laura and is described in the intro. There are poems that I try to paint colours with words, some that are simple & some that are very Zen-like. Did you say “Zen-like”? 🙂 This is primarily a mystical poetry blog, so your book is certainly a perfect fit. In addition to Zenness (I’m well aware this isn’t a word, but it is now :P), what other themes does this collection touch on? That’s a powerhouse of profound themes right there! 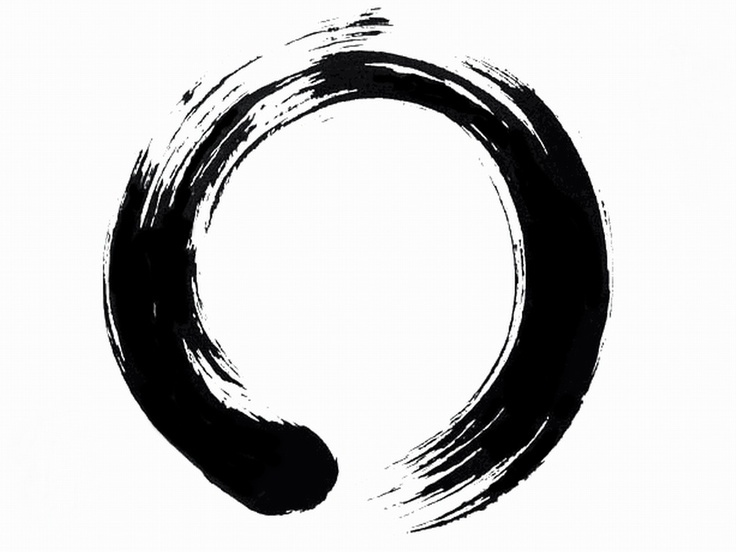 As a Tao-inspired poet, who are your writing muses? The old Chinese Taoist & Zen poets but also contemporary writers such as Mary Oliver, Medbh McGuckian, Pablo Neruda, Paul Eluard, as well as artists such as Marc Chagall & Odilon Redon. What wonderful influences for your work! The creative writing process varies amongst us writers, but there is also an underlying similarity or two. What’s a day in your shoes like when you’re crafting a poetic outpouring? The poems come to me fully formed in a flash. I make very few edits. 90% will have had no editing. There are over 200 in the book – it is my first collection. If I do not write them down in that flash of inspiration then I lose them. That makes perfect sense. It is no surprise to me that your unique process is very mindful. So, any concluding thoughts? Only that while the subject matter is Taoism, it really is about connecting to our deep Primal Self to learn to feel the Flow, and to see the world with fresh eyes. This is no doubt a profound read! I very much appreciate the time you took out of your day to have this interview. It was highly insightful and please keep on writing! The world could always use a little more zen energies in it. Oh, and Happy Halloween, my beautiful friends!